lol most of the time.. In this hour, Molly Ringwald finds herself in the principal’s office with her daughter, a young man navigates life with his single mom, a boy who loves Barbies is terrified at the thought of playing tackle football, and a daughter contemplates how to face her mother’s death with grace. * *The Moth Radio Hour is produced by The Moth and Jay Allison of Atlantic Public Media. Anthony Griffith’s new book, Behind the Laughter: A Comedian’s Tale of Tragedy and Hope, is available now wherever you buy your books. In this hour, ballet "late in life," an unusual pet, drag queens and divorce. Stories to show us a new perspective. Hosted by The Moth's Executive Producer, Sarah Austin Jenness. The *Moth Radio Hour *is produced by The Moth and Jay Allison of Atlantic Public Media. A little boy and his grandma attend a pro-wrestling match in 1955; a prisoner is contacted by a girl who says she’s his daughter; a high school principal goes above and beyond with a needy student; a teenager has a life changing experience during an internship at a hospital; and an experienced nurse has to act fast to save a life. 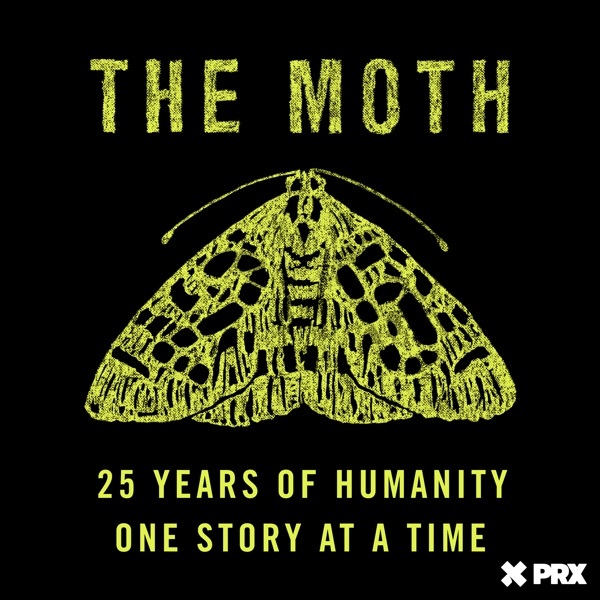 The Moth Radio Hour is produced by The Moth and Jay Allison of Atlantic Public Media. Hosted by: Sarah Austin Jenness. A teenager discovers she is pregnant; a waiter fields a strange request; a child breaks the teacher’s rules; and an Imam becomes a chaplain in the New York City Police Department. In this hour, stories dealing with all things family: from sibling hi-jinx, to the difficulties of having children (and parents). The Moth Radio Houris produced by The Moth and Jay Allison of Atlantic Public Media. A jack-of-all-trades enters a cartoon contest, a teacher’s pet is invited to do a special project, a girl from Queens learns to think big, and a woman walking alone at night faces her worst fears. A mother monitors her teen’s internet use; a preacher’s husband feels the love of community; and a deep sea fisherman navigates a deadly storm at sea. Live in Martha’s Vineyard, hosted by Adam Gopnik. In this hour, stories of mistakes, perseverance, and lessons learned, often the hard way. Alice Schaffer, a preacher's daughter, grows up in fear of the lessons learned in Sunday school. Dawn Ross tries to adjust to life in rural Arkansas. D. Parvaz, a journalist covering the uprising in Syria, is arrested and imprisoned. Leland Melvin suffers a devastating injury that cuts short his dream of flying in space. In this hour, Motown, hip hop, folk and pop. Stories of the indelible impact of music on both its creators and listeners. A romance is threatened by a reality TV show; a speechwriter has a showdown with Bill Clinton; a woman helps her aging father; and a man’s courage is put to the test in his own home. In this hour, five stories of picking our battles. The internal and external pressures that guide how we speak up, speak out, or stay silent. A special holiday edition of The Moth Radio Hour: Simon Doonan encounters challenges when called on to decorate the White House for Christmas, a man is hesitant to work with a “Hollywood” style church in his neighborhood, a Jewish girl meets Santa, and a boy thinks his dreams have finally come true when he gets an exotic pet. This hour is hosted by The Moth's Artistic Director, Catherine Burns. The Moth Radio Hour is produced by The Moth and Jay Allison of Atlantic Public Media in Woods Hole, Massachusetts.